eCustomer Link is a powerful web based application that electronically connects your customers to your plant via the Internet. The system provides remote order entry for customers either automatically or via the web browser and supplies customer account information including real-time status updates on their orders in the system and detailed order history. A Special Version built specifically for the way Converters do business. Provides the ability to electronically transmit orders via the Internet and track the status of each order through the manufacturing process. Supplies real-time order status including production and shipping information. Also provides detailed order history. Provides customized order views based on user defined queries. Easy to use and implement. Completely web based using standard Internet browser which allows viewing from tablets or smart phones. 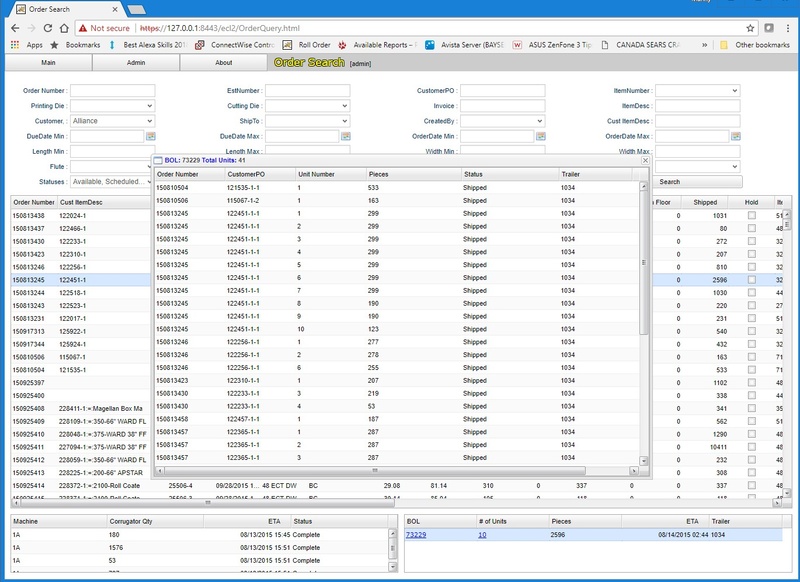 Provides rapid order entry, allowing users to use 10 key and other mainframe conventions. Checks and warns of keying errors. Allows plant to retain total control over the system. Plant can locally add or delete users, assign or change customer identification codes and control the amount of information available to each user. Incorporates today’s latest encryption algorithms to ensure data integrity and system security. All transactions are safe and secure. System supports multiple customers. Accounts can be set up for customers your plant chooses to add to the system. System supports multiple manufacturing plants allowing centralized order entry and distributed manufacturing. 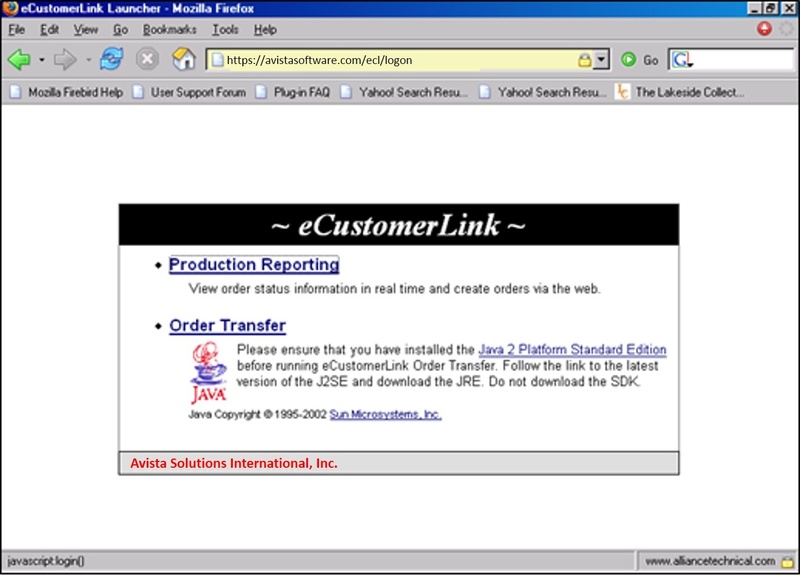 When a new user is added to eCustomer Link, the plant assigns a unique User Id that the operator uses each time he signs on to the system. This Id identifies the user and determines his access to specific information. eCustomer Link provides the ability to track the status of each of the orders through the manufacturing process. number, plant number, trailer, order date, due date and status. Real-time order information including production and shipping details are available. Users can even view what trailer a customer’s order is loaded on and examine details of all units on that trailer. New orders can be keyed directly into the eCustomer Link system. A checks and warning system prevents keying errors and notifies the user of any problems with the order being entered. A template feature is included for easily entering orders from customers who frequently order the same or similar items. Administrative features allow the plant to maintain the list of eCustomer Link users, their passwords and viewing rights. Administrators also have rights to maintain codes in the database such as adhesive codes, board codes, coating codes, score codes and tape codes. The Order Transfer feature is used by customers who enter orders into their own order entry system and upload the order file data to the eCustomer Link server. Once a transfer is initiated, the eCustomer Link server processes the order file data and loads it into the system. At the client site, the order file is converted from a flat file to a stream of data. This data is sent to the server and put directly into the Amtech database where it is processed and loaded, recording transmission audits for each step. Users have the ability to add messages or additional information to a specified PO Number before transferring the orders to the database. Once a transfer is complete, the user receives e-mail notification on the status of the file transfer. An e-mail report displays a list of all orders that were successfully transmitted and alerts the user to any errors that occurred. eCustomer Link incorporates today’s latest encryption algorithms to ensure data integrity and system security. All communications between customers to the corporate system are authenticated with a username and password. This helps identify the customer and ensures the integrity of the customer’s data. Your plant retains total control over the system and can locally add or delete customers, assign or change customer identification codes, and control the amount of information available to users without requiring the assistance of any Amtech personnel. 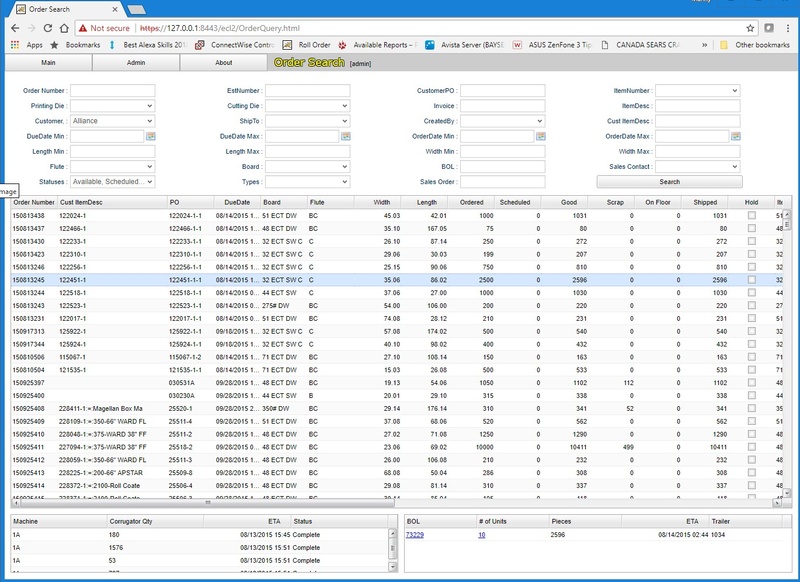 Amtech ’s eCustomer Link system can help your plant and your customers save time and money by providing the ability to place and view orders, schedule and view shipments and access other critical real-time production data via the web. Electronically connect your customers to your plant.